There is no such thing as a “condensation-proof tent.” Condensation is something that can happen in any tent to varying degrees. In general, if the temperature inside the tent drops below the dew point temperature (the temperature at which air becomes saturated with water vapor), then moisture will condense on the walls. 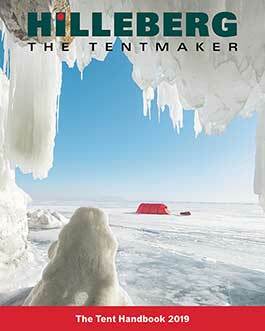 Similarly, if the humidity outside the tent is higher than inside and there is no air-movement – i.e. no wind – then there will be some condensation. Temperature plays a role, as well: you are more likely to experience condensation in cooler weather, especially in higher humidity situations. In addition to the degree of moisture in the air and the temperature, storing wet equipment in the vestibule or in the tent itself can also contribute to condensation in a tent. Condensation can also be affected by different body types, sleeping bag type, how much heat you produce and the like. This is why it sometimes might seem odd that one person has a tent with more condensation than another. Vents in the tent will help, but only if the moist air that is being vented out is being replaced by slightly drier air from outside. When the humidity outside is higher than inside the tent, then this is naturally not the case, and the air coming through the vents will actually increase the condensation. Conditions when it is very humid and a bit colder – such as in the fall or on cold summer days – are especially prone to condensation. Think of the inside of your car in the morning when it is cold, or the outside of a beer glass once the cold liquid is poured inside it. Unfortunately, some degree of condensation is part of the laws of nature. In a smaller tent, any condensation will be more apparent than in a larger tent both because of the smaller space and because the walls – and thus any condensation – will be closer to you. A larger tent has more air to circulate within it, and the walls (and any condensation) will also feel further away from you. We also make tarps and even with these, under certain circumstances, you can experience condensation underneath the tarp. This is despite the fact that tarps have excellent ventilation, something that is so often regarded as the most effective remedy against condensation. But even here, in conditions as described above, one can wake up to a ceiling of wetness that is at times incomprehensible. The bottom line is that in conditions where any moist air inside your tent – or under your tarp – is not able to be replaced by drier, warmer, air, there will be some condensation. In our tents, the outer tent material (our Kerlon fabrics) is fully waterproof and is there to keep water – rain and snow – out. These fabrics do an exceptional job at this, but they are neither breathable – a term that refers to the ability of a fabric to allow moisture vapor to pass through it – nor air permeable. Thus, any moisture vapor trapped under such a fabric will likely condense onto the inside of the outer tent, as you sometimes see in the vestibule. In fact, when we first introduced the extended “GT” vestibules on some tents in the early 80s, we encountered something that we called the “GT-syndrome.” People were not used to having such large vestibules, and they would see the condensation collecting on the inside of the vestibule. Then, rain drops would hit the outer tent and knock loose droplets of condensations, so it appeared as if rain was going straight through the tent wall the vestibule. This was not the case, of course; it was merely condensation releasing from the walls. Our inner tents, meanwhile, are built from a highly water repellent, highly breathable, and air permeable fabric. This fabric keeps the condensed water out, and allows warmer, moister air to escape, reducing condensation inside the inner tent. In addition, all of our tents are constructed to hold the inner and outer tents apart at an optimal distance to further fight possible condensation. However, with the humidity in your breath and warmth of your body, or from any wet gear in the tent, or, of course, from the ambient dew point temperature, there is still a chance for some condensation to collect on the inside walls of the inner tent. Despite the inner tent material’s high breathability, in some conditions the walls will be the coldest spot in the tent, and condensation will collect on the coldest spot. Another cold spot inside the tent is underneath your sleeping bag. In addition, your feet don't put out as much heat as the rest of your body, which, in combination with the sleeping bag’s touching the wall of the tent, can lead to getting the bag wet. This can happen more in smaller tents, especially those with only one entrance and a slanted back-end. We always wrap our rain jackets around the bottom of our sleeping bags to protect them. For tips on how to minimize and deal with condensation visit our practical hints page.